Here’s a simple and fun holiday science experiment! 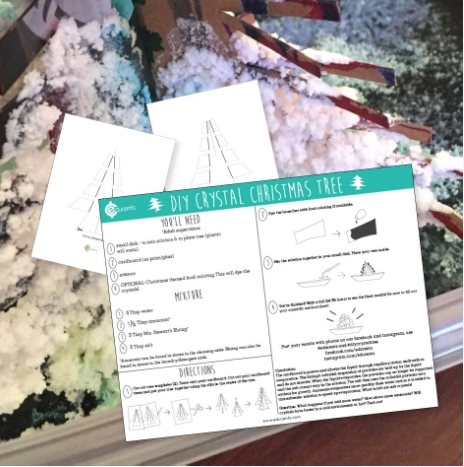 Your kiddos will LOVE growing their own beautiful, salt-crystal Christmas Tree! They will be introduced to the concepts of capillary action, evaporation and crystal formation. A scientific method sheet and 2 templates to cut out their Christmas tree is provided. 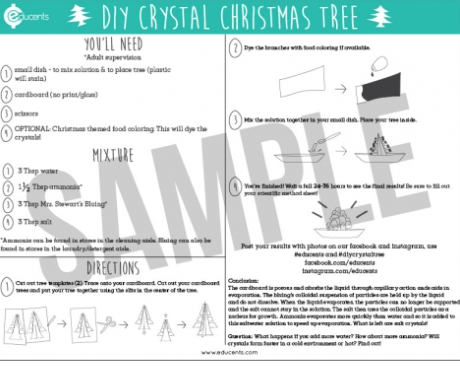 Click here to download the full FREE Holiday Science Experiment: DIY Crystal Christmas Tree!